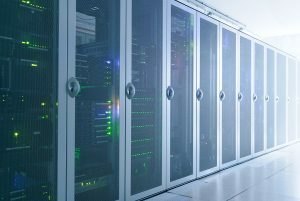 As part of this mandate, agencies are no longer allowed to set aside budget for new data centers unless they can show all of their existing centers meet the mandate requirements or they are opening a new center to consolidate existing centers. To meet the 2019 goals, it is widely accepted that agencies will have to invest in virtualization and cloud, a move many have already started. For example, the Air Force has been using cloud for the last 12 years to increase data center efficiency, saving millions of dollars annually in capital and operational costs. AWS Public Sector Summit (June 12-14; Washington, DC) - This event brings together government, education, and nonprofit technology leaders to talk about how they are transforming their organization with the use of cloud. There will be a number of sessions discussing how to optimize data management with cloud. Atlassian Government Symposium (June 21; Washington, DC) - With a theme of "Stay Ahead Of The Curve," this event is focused on creating an IT infrastructure that will help government agencies innovate. The event includes a breakout session entitled "Scale with Data Center & Enterprise Services"
F5 Government Technology Symposium (June 22; Washington, DC) - While this is a vendor produced show, it takes a very broad look at security for cloud-based environments - something that needs to grow to meet DCOI requirements. CIO Government Technology Conference (June 22; Philadelphia, PA) -- The goal of this conference is to create an environment for public and private sector executives to explore IT challenges, including data center consolidation. Federal Focus: The Cloud Generation (July 12; Washington, DC) - This event takes a hard look at how agencies are embracing the cloud and provides insight into meeting user demands as well as compliance demands. VMworld (August 27-31; Las Vegas, NV) - With VMware technology prevalent in the government already, this vendor event is valuable education to ensure you are getting the most out of technology you already own. 930gov 2017 (September 6; Washington, DC) - This annual event takes place near the end of the government fiscal year to provide a look back as well as a look ahead at trends and challenges impacting the federal IT market. While the agenda is not public yet, the key DCOI deadlines are likely to be a hot topic. We'd love to hear from you. What are some can't miss events that relate to data center optimization in government? This entry was posted in Event News Articles and tagged Cloud, compliance, data center, Virtualization by Kerry Rea President of GovEvents. Bookmark the permalink.